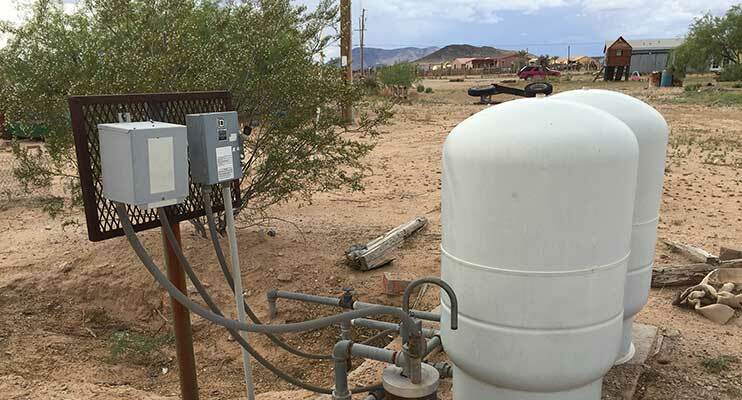 More than 43 million people in the United States rely on private water wells as their sole drinking water source according to a national research study by the US Geological Survey. The study also found that more than one out of the five wells contained one or more contaminants at concentrations above the safe human health benchmark. Some common contaminants found in domestic wells, included arsenic, uranium, boron, lithium and radionuclides. Drinking contaminated water can cause deficiency in cognitive development in infants and young children leading to life-long learning disabilities, cancer, thyroid problems, and other serious health issues. The quality and safety of private water wells is not regulated by the Safe Drinking Water Act (SDWA) or any state or county laws. Individual well owners are responsible for maintaining and monitoring the water quality of their private well systems. However, many well owners do not know how to properly maintain their well to ensure the safety of their drinking water source. RCAC launched the pilot, Individual Well Program in partnership with the National Environmental Health Association, University of Illinois, National Groundwater Association and the Water System Council to provide free well assessments and educational resources for private well owners, not regulated by SDWA. To apply online or mail/fax your request, see below. What does the well assessment include? RCAC staff members perform the comprehensive well assessment, including an inspection for potential well vulnerabilities, potential contamination sources in close proximity to the well, and inspection to make sure the well is constructed properly, according to state well construction standards. The well assessment provides well owners with the education and resources to ensure their drinking water source is safe and reliable. What are the benefits and outcomes of the well assessments? Inspection and completed well assessment report with recommendations of possible needed repairs and water treatment options. Well Owners Resources Package, provided as a continuous learning resource. Well owners are more knowledgeable about how to properly maintain, inspect and perform regular water quality monitoring on their private well. Future follow-up technical assistance as needed. RCAC low-interest household well loans and possible grants for repairs and drilling a new well in the face of the drought. Please visit our Household Water Well Loans/Grants Program page for contact information. The well owner workshops educate well owners on proper operation and maintenance of drinking water wells and septic systems, common well and septic system troubleshooting, preventive maintenance and solutions. The workshops are useful for private well and septic system owners. Well owners are invited to bring a three ounce sample of well water for a free water quality test for nitrate, which is commonly associated with wastewater contamination. Improving water quality through training and technical assistance to private well owners’ will help protect public health and the environment and ensure that there is safe water available for future generations. Having a successful well program means gaining the trust and understanding in the communities where you work and allowing you to do your job successfully. The workshops are open to all health and environmental professionals, well inspectors and others, who work and interact with well owners or would like to start working with well owners to provide them with safe drinking water. Join your colleagues and RCAC to learn how, earn contact hours and join the networking fun meeting people in your profession to form those possible partnerships. We will show you how! 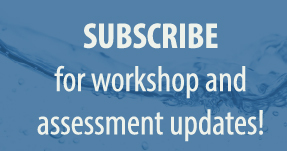 Subscribe and get updates on upcoming workshops and well assessments trips in your area. You can also visit our events page to see if a workshop is scheduled in your area.